The growing number of rugby clubs in Catalonia means that Spain school rugby tours can enjoy both excellent competition and a warmer climate. 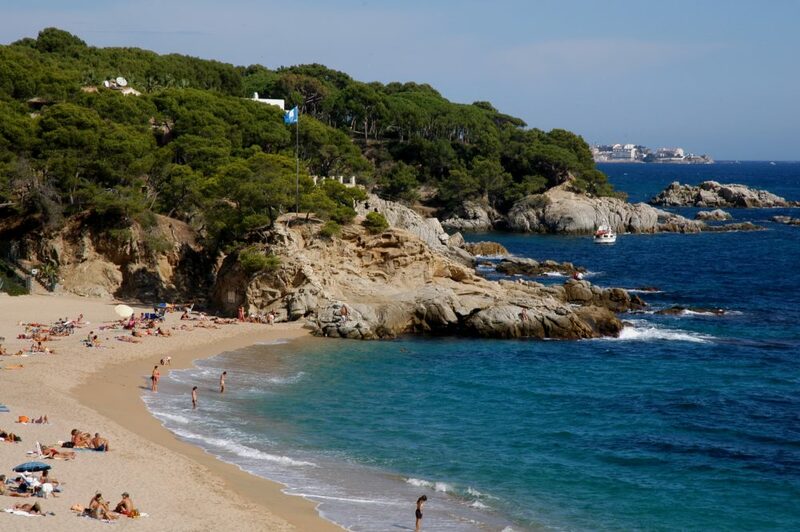 Activ4’s Spain School Rugby Tours are based in the beautiful coastal resort of Platja d’Aro and as this is our Spanish hub resort we have an excellent infrastructure and support network. The hotel Caleta Palace plays host to our sports tour guests who always appreciate having a pool that opens up right out onto its own private little cove. The local sports facilities in the area are second to none and there is easy access into Barcelona and Port Aventura. Evening entertainment programmes are action packed with lots of activities literally on your doorstep. We can design tailor-made Spain School Rugby Tours to suit all budgets and requirements. Our Destination Management Team based locally have been organising fixtures in Catalonia for over 25 years, so our experience in organising the best possible tour fixtures in this part of Spain is second to none. Rugby tours have been the classic way to bond players for generations and with the help of our expert staff you can provide unforgettable tour experiences for your school. Let our experienced tour managers take the hassle out of organising your tour and put together all the sporting and social elements that are at the heart of successful tours. 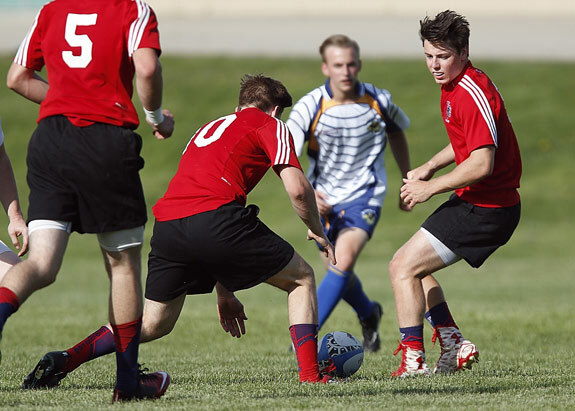 Spain has grown as a destination for school rugby tours as the quality of rugby in Spain has developed over the last decade. With more local clubs, better facilities and a genuine desire to play against international teams, the rugby scene in here means that Catalonia is now a competitive place to go on tour. You will depart from a UK airport bound for Spain. On arrival at your destination airport you will be greeted by your activ4 representative and transferred to the Caleta Palace hotel in the coastal resort of Platja D’Aro. Your rep will assist you with check in to ensure it all runs smoothly. Located right on the beach and with direct access to one of the most beautiful coves on the Costa Brava, the complex features great facilities which will help you enjoy your stay; including a swimming pool, sun terrace, internet area, games room, and a restaurant with buffet service and Mediterranean cuisine on the menu. The tree lined promenade has lots of sophisticated shops, restaurants and bars which makes it one of the most popular resorts on the Costa Brava. School groups have been coming to the resort for twenty years which is testament to how much it has to offer. There is a room onsite as well as an outside terrace area to hold a variety of evening entertainments for which there are numerous options available, possibly starting with a quiz night. Each day will start with a buffet breakfast before heading out for the day’s activities. Training will be done in the morning and one of the great things about touring in Spain is that they excel in so many different sports so their sporting facilities are superb just a short distance away. Fixtures are usually played during the evening with local club teams and your group will be escorted to your local fixtures by a local activ4 representative to ensure things run smoothly. Fixtures are often the highlight of the tour and clubs are always delighted to play British sides and offer a friendly welcome and a competitive game. As with all areas of activ4 programmes, evening entertainments will be carefully planned for your group and after the first of your fixtures many groups choose to round off the evening at ‘D’Aro Bowling’. This morning you can opt to head to Portaventura Theme park. Spend the whole day at this amazing park that offers plenty of exciting rides suitable for all. From the fastest roller coaster in Europe the thrill seeking ‘Furius Baco’ in the Mediterrània area, the ‘Dragon Khan’ roller coaster in the China area to the more traditional ‘tea cups’ and log flume rides, there is plenty of fun filled action to keep you amused for the day. Back in Platja D’Aro this evening you can finish your day with a visit to Magic Park Amusements. As well as the latest simulator arcade games, you will find bucking bronco’s and indoor dodgem cars. On the way back to the hotel why not call in at one of the many cafes to enjoy Churros con Chocolate!